Hannah is currently based in Dunedin, working as a doctor specialising in Pathology.She is originally from Shropshire in the UK where she spent most of her spare time horse-riding whilst growing up. Hannah had a bit of a late introduction to multisport, cycling and racing in general. 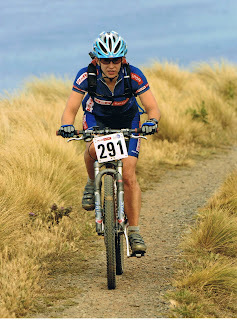 She first picked up mountain biking when she moved to Rotorua from the UK in 2003, loved it and ended up competing in some local Rotorua races. 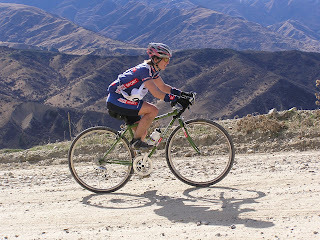 For a challenge, some friends and her entered the 2005 2 day individual Coast to Coast, so she taught herself to kayak and road bike. Hannah ended up in the top 10 women and after that became a bit hooked on racing! Since injuring her knee in 2005 her focushas been more on cycling. What kind of cycling? well anythings with two wheels will do; road, cyclocross, cross country MTB, downhill MTB.... you name it and Hannah probably rides it fast. Future plans:To focus more on cycling (particularly mountain biking) and to race elite women cross country MTB in the summer. I may also try some singlespeed and 24 hour MTB racing to keep things interesting!